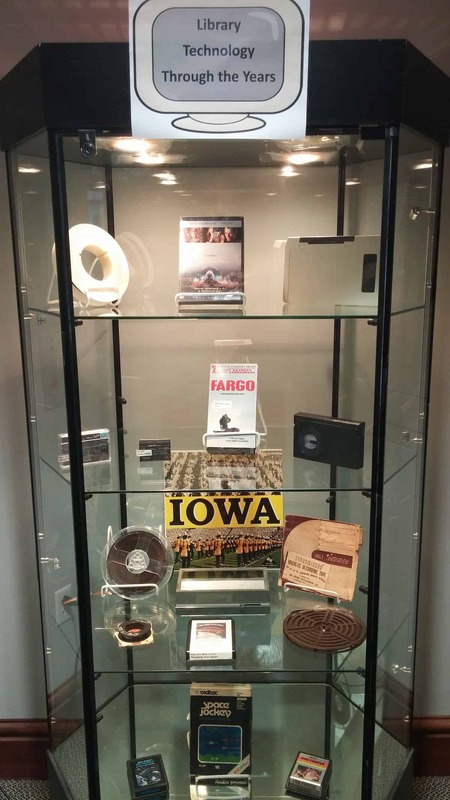 The Sciences Library has a new exhibit, relating to this semester’s theme: Our Lives Online. 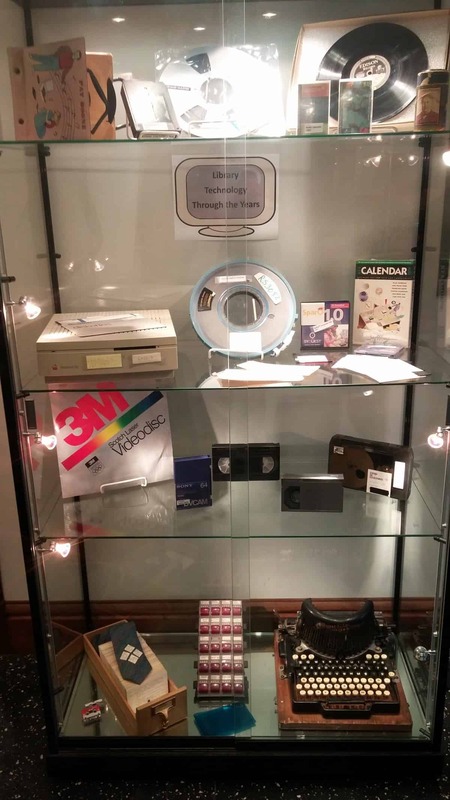 The exhibit, “Library Technology Through the Years”, showcases items from the University Archives collection that have been made obsolete by new forms of media and online streaming. In our cases, you’ll find an antique typewriter, an Edison phonograph record, a Barbara Streisand 8-track, an Asteroids Atari game cartridge, and so much more. Check out our exhibit and take a walk down memory lane! How many of the items do you remember?